Home Health How to Cure Acid Reflux Naturally? 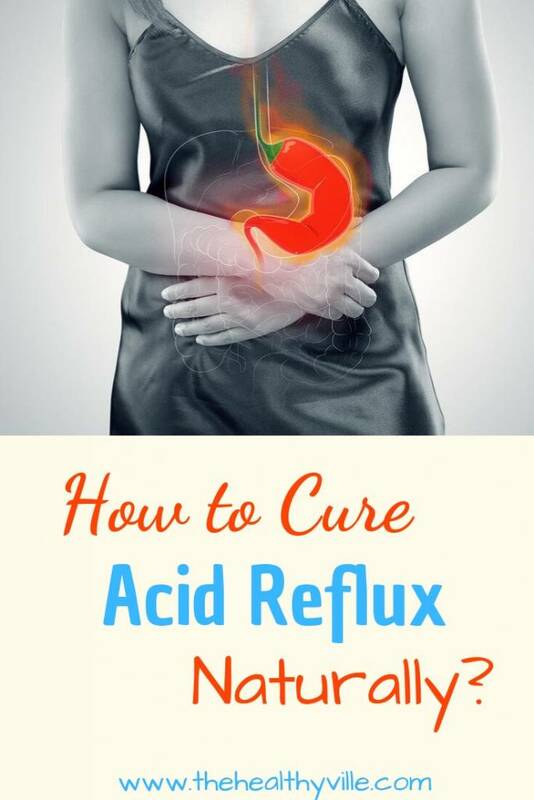 How to Cure Acid Reflux Naturally? How to cure acid reflux naturally using herbs and supplements? Just follow these steps and make your own acid reflux relief remedy! The soothing effects of some herbs and supplements help alleviate the symptoms caused by gastroesophageal reflux. In addition, they help block the return of acidic juices into the esophagus. There is an interesting list of herbs and supplements to accelerate the relief of gastroesophageal reflux. Although it is necessary to evaluate the disease in the company of a doctor, the taking of this type of remedies can contribute, to a great extent, to diminish its symptoms. Gastroesophageal reflux disease usually causes an upward movement of stomach acid into the esophagus. Those who suffer from it usually feel burning, burning pain in the throat and irritation. In fact, in more serious cases, it can affect the appearance of lesions in the mucous lining, laryngitis and cancer. Your treatment may include over-the-counter antacids or prescription medications to curb excessive acid production. However, to the extent possible, control is sought through diet and natural solutions. Discover some recommendations how to cure acid reflux naturally. Changes in diet are one of the keys to accelerate the relief of gastroesophageal reflux. Even, it is the first measure taken before trying certain medications. So, before any conventional or herbal remedy, it is best to correct eating habits. There are certain herbal remedies and supplements that contribute to increase the feeling of relief, especially when the acidity occurs in specific cases. Although more scientific evidence is required to corroborate their effects, in general their use is safe and has positive effects. Learn how to cure acid reflux naturally with these remedies. The gingerols are responsible for the anti-inflammatory activity of this ancestral root. A moderate amount of ginger root can contribute to the control of gastroesophageal reflux. In fact, this spice has been used as a complement to many digestive health problems. Its properties are attributed to a compound called gingerol, which acts as an anti-inflammatory. Ginger can be consumed in infusion or extracts. Since in excess can have an opposite effect, it is best to take a teaspoon diluted in a cup of hot water, once a day. Chamomile has soothing and digestive assets to relieve gastric reflux. This soothing remedy is a good option to accelerate the relief of gastroesophageal reflux and reduce irritation in the throat. The plant has anti-inflammatory, digestive and soothing properties that reduce the effects of acidic juices on the lining of the esophagus. First, take a tablespoon of chamomile and pour it into a cup of boiling water. After obtaining an infusion, strain it and consume it warm. Make sure you take the remedy twice or 3 times a day. The essential oils contained in mint have shown, in some researches, effects on digestive health. Some research has shown that the symptoms of gastroesophageal reflux can decrease with the consumption of peppermint oil. This product is present in mint and teas supplements. In addition, it can be purchased in its natural state, although it must be diluted before consumption. First, pour 5 drops of peppermint oil into a cup of warm water. If you want, add a little lemon juice. Then drink the drink in sips. Finally, consume it twice a day. Including additional amounts of certain vitamins can be beneficial for the digestive system. Fruits and vegetables have a high concentration of antioxidants that improve health. However, when you have reflux, it is best to obtain them additionally with a good supplement. Vitamins such as A, C and E are great due yo their ability to alleviate this disease. First, consult the doctor or pharmacist. The professional will help you choose the best antioxidant or multivitamin supplement. In addition, it will establish an adequate dose according to your needs. Aloe Vera gel has regenerating properties that relieve and repair the damage of acidity. One of the most popular natural supplements to accelerate the relief of gastroesophageal reflux is aloe Vera gel. Although you should not take it in excess due to its laxative effect, in moderate amounts it helps to calm irritation and burning. It is even anti-inflammatory and helps repair the tissues in case of injuries or ulcers. Take a spoonful of aloe Vera gel and add it to a glass of water. Take the drink on an empty stomach or at the first sign of reflux. If you wish, add a spoonful of honey and a few drops of lemon juice. In case the symptom persists, repeat its consumption. Caution: avoid taking more than three glasses a day to avoid side effects such as diarrhea. Further info: Use This Aloe Juice Health Benefits In The Treatment Of These Conditions! Herbal remedies and supplements do not have miraculous properties or counteract the habits that affect gastroesophageal reflux. Therefore, part of the success of the treatment depends on the lifestyle. Avoiding tobacco, alcohol, excess weight and irritating foods are essential measures. Don’t forget to SHARE how to cure acid reflux naturally using these remedies with your friends and family on your social networks!